We create industry-leading digital solutions. Lamb Agency is your best choice if digital is important to the competitive advantage of your business. People come to Lamb Agency to build solutions that capture their audiences attention. An unshakable commitment to delivery. 5 years, 100% completion. We create premium interfaces that are easy to use. Leadership demands quality, but also a commercial return to the business. Frankie 4 is the industry leader for women's podiatry fashion shoes. They wanted a website to highlight the quality of their product. The World Science Festival is Queensland Museum's largest event on its calendar year. 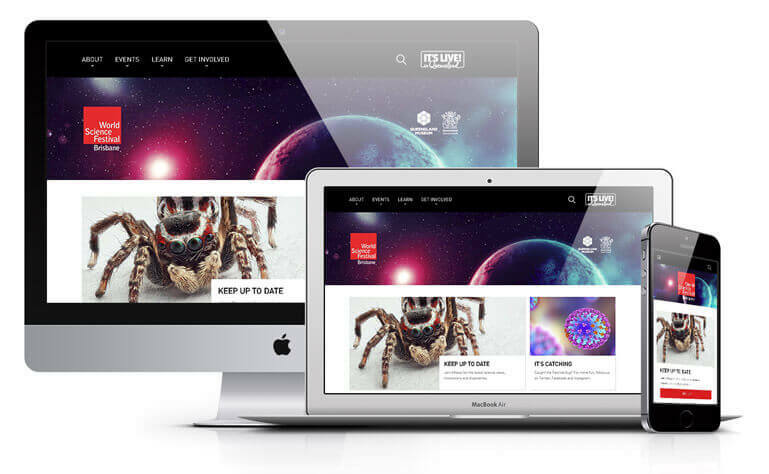 You can see our design was used as the foundation for the global World Science Festival website redesign. There are endless agencies in Brisbane, but how do you choose a good one? Is the agency that you are considering engaging with credible companies? Is the work they have completed meaningful and recent? Many agencies will add a logo to their client portfolio for a minor engagement performed many years ago. Lamb Agency has worked with some of Australia’s largest companies and proudly engages with industry leaders. It is one thing to have produced some good looking work, but it’s another thing entirely as to how they got there. Key things you want to consider are whether the agency plays hardball or is a pushover. An agency that is too pliable can be a bigger problem than one that is not, as they can overpromise and underdeliver. Lamb Agency was created to stand apart from traditional agency practices. We were tired of the short-sighted client management and client-politics. We consider ourselves to be an anti-agency. We’re proud to engage in work that is collaborative, focused on value generation and based on agreed-upon business objectives. Are they connected to the industry? An organisation’s history and connectivity into the industry represent the likelihood that it will continue to be an agency tomorrow. Lamb Agency is a long time supporter of the digital, marketing, and advertising industries. We have been key contributors to the Brisbane Advertising Association and Interactive Minds for over two years. Both organisations are pivotal to the connectivity and continued maturity of the digital and advertising industries. Will they support you after the initial engagement? The real test of the success of a project is what happens after the project is launched. By its nature digital is fast moving and to stay on top of everything you need someone who can be there to make sure you are keeping on top of current practice and taking advantage of new opportunities as they arise. Working on your digital platforms isn’t something that happens once every 3 years. Your company may not have an internal team to look after you, but you can tap into the breadth of capabilities from performance optimisation to digital strategy within Lamb Agency to help you get the most out of digital. How do we achieve some of the best results in Brisbane? Your company’s website is likely one of the leading touch points for customers and your business. But it serves a greater purpose than just a frequent access point. It provides value to the business in the form of either lead generation, market positioning, customer support or a range of other activities. Our goal is to distil the key contributions of digital to your business and map it to the bigger picture. Are you making a move on the leadership for the industry? Are you looking to grow internationally? Are you looking to improve the customer journey by providing access to 24 hours digital systems? Your competitors have a significant role in determining how your digital needs to meet the market. Some industries have a significantly greater digital sophistication than others. If you are looking to catch up, your competitors can provide a good baseline of practice that can direct your activities to get results quickly. Alternatively, if you are a leader, we can make sure your website clearly presents and keeps you as one. We consider a range of aspects about your competitors from the sophistication of their information architecture, digital marketing activities to perceived quality and positioning of their offering. 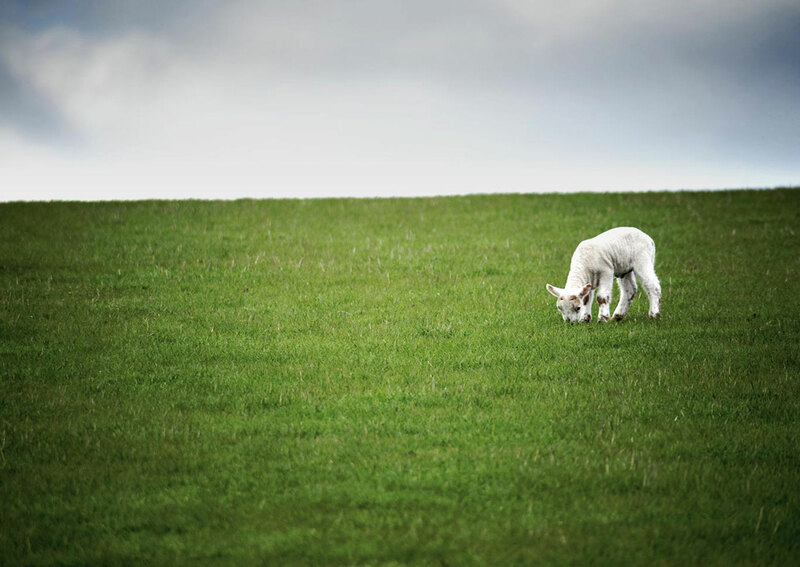 On approving a project proposal or engagement agreement you will be assigned an Account Manager(in Brisbane) who will be your contact for all things relating to Lamb Agency. Their role is will be to deliver your project on time and to its requirements. Our account managers are there to make sure everything goes to plan, and that we keep an open and honest dialogue about the progress of the project. We aim to be ahead of the game planning for issues, rather than reacting them. However in business, things happen, there could be a change in your priorities or a complication with an external dependency (say an integration provider). Our account managers will be there to highlight the complication and potential impact on our timelines and potentially identify a workaround to get us where we need to be. Your website exists to serve the customer and needs to be structured in a way that best serves their needs. Every website starts with some kind of positioning statement about your company and ideally ends with a call to action. What goes between makes up your customer’s journey. In our content workshop, we explore who the customer is and what are their goals, challenges, and drivers. This is combined with a plan to create the ideal information architecture that that prioritises information that makes up the core digital experience. The digital experience is a minimalist one, we don’t add information that isn’t needed. Everyone in digital struggles with at least one of three common issues. Lamb Agency has a number of capabilities that can overcome these common problems, but also help build the sophistication of your digital capability to help avoid digital disruption. Through our digital support audit, we will look at the components of your digital function – strategy, management, monitoring and execution along mapped alongside your current level of sophistication. By default, most companies will only be receiving a passive level of organisational support from their digital agency. By identifying where the effort will pay off the most we can identify where additional investment will provide the greatest return to your company’s strategy. Each of these is aligned to a specific engagement type that sets the foundation for a documented set of responsibilities that we will manage and be reportable to. If you want to get the best out of Lamb Agency as an agency, establishing a digital partnership sets a fantastic foundation.